Oft-heard from expats in the Philippines is the joke that there are only two seasons in the Philippines: hot and hotter. Summer seems a permanent fixture, and the people are always in the mood for some vitamin sea. It’s no wonder that one of the featured unbelievable trips in the Philippines is its beaches. With over seven thousand islands, adventure-seekers will never run out of seas to cross and sandbars to dig their heels in. The Northern region of the Philippines is one of the many underrated wonders of the country’s tourism. While equally stunning and culturally significant as many vacation spots in the country (such as Boracay), the North requires the hearts of travel warriors when it welcomes visitors – a minimum of an eight-hour bus ride in the night is the most usual form of transportation. Tourists are jarred awake when the bus unceremoniously ends its journey at nondescript stations, filing down and finding themselves on queue to pay the required environmental fees. Cordillera is home to five rice terraces systems, but these are listed under a single cluster of the UNESCO Heritage Sites: the rice terraces of the Philippine Cordilleras. The eight-hour trip (or sometimes 13) pales in comparison to the majesty of the mountains – its sheer indigenous architecture will dwarf you. It is also one of the most culturally-diverse regions in the country, with many of their indigenous traditions carefully retained and preserved. There are nine major ethnolinguistic groups in the region with distinct differences, encompassing the provinces of Abra, Apayao, Benguet, Ifugao, Kalinga and Mountain Province to make up what is formally called the Cordillera Administrative Region. Yes, and included in that mountain range are some areas from the eastern sections of Ilocos Norte, Ilocos Sur, La Union as well as northeastern Pangasinan, and the western areas of Nueva Vizcaya and Cagayan. 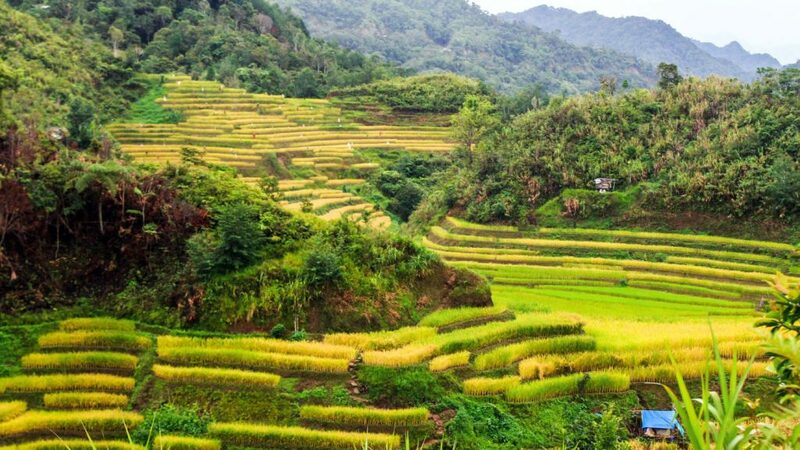 The five majestic rice terraces are Banaue and Bangaan, Nagacadan in Kiangan, Batad, Hapao in Hungduan, and Mayoyao which is partly in Isabela. Banaue and Bangaan are very near that a tour in Banaue will always warrant a stop in Bangaan. 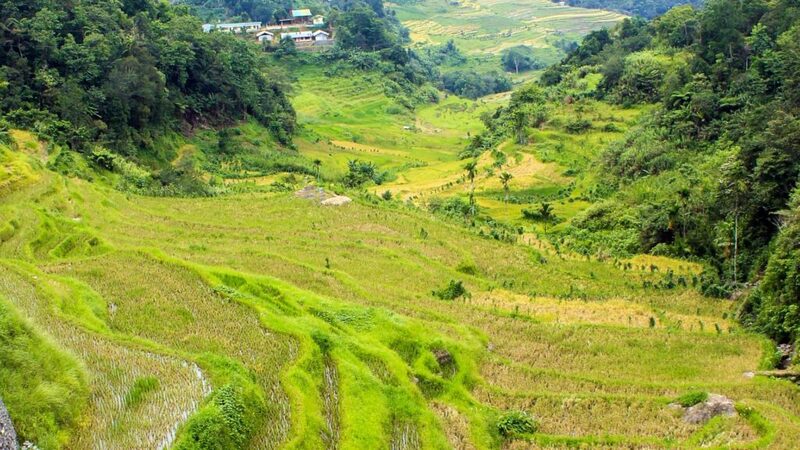 The Banaue Rice Terraces is often referred to as the eighth wonder of the world, and its popularity has led quite a misunderstanding that it is the only rice terraces system that was inscribed on the UNESCO Heritage Sites. Not quite. Kiangan is a historical district in the North, a short twenty-minute tricycle ride from Lagawe. This was where General Tomoyuki Yamashita surrendered in 1945 and where the American architecture from the time the Philippines was colonized was still apparent. From the city center and through a winding, cemented road is the Nagacadan Rice Terraces, defined by its height with a river bisecting through it. Like its sisters in other areas, Kiangan is also home to smaller rice terraces systems such as Asipulo (quite remote and far from the town center) and Ba-e Rice Terraces (where the sunrises are best viewed). There’s a laundry shop in Kiangan, a dorm, several homestay inns, its very own KFC (Kiangan Food Center), a church, a few town supermarkets (that close really early) and a town historian. 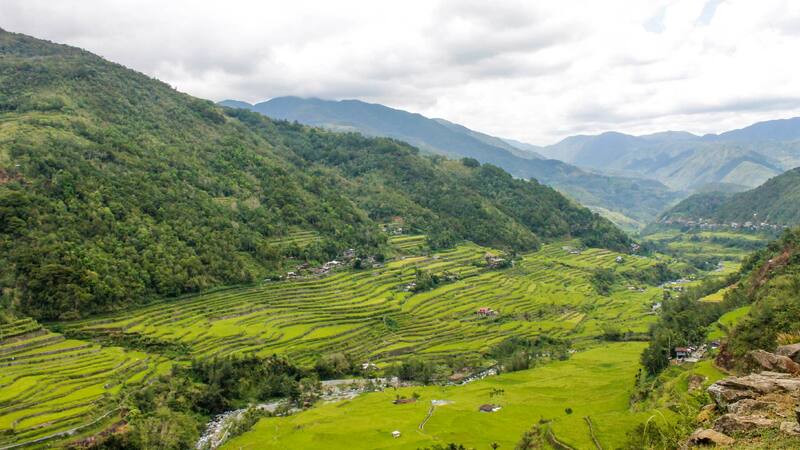 The Hapao rice terraces system in Hungduan is probably one of the most underrated terraces in the Cordilleras. True, there isn’t much activity in the area except for the hot spring that sits well beside a raging, freezing river. Where Batad has the freezing Tappiya and Kiangan has the secret Julongan waterfalls, Hungduan has the unique hot spring. The visitors need to traverse through the massive rice terraces of Hapao to get to the hot spring. You may opt for the path which will offer you a grand view of the terraces, but you may also opt for the ‘road less travelled’ and be rewarded with the best view. While some of the best beaches in the Philippines are quite remote, and there are hotels to secure luggage, journeying to the North is quite the challenge. There aren’t many hotels like Boracay, Cebu or Palawan do have, but there are inns and home stays in traditional homes and the people of the Cordillera are among the most hospitable hosts in the Philippines. It would do you good to understand the landscape, identify reputable inns and list the schedules of public transportation. 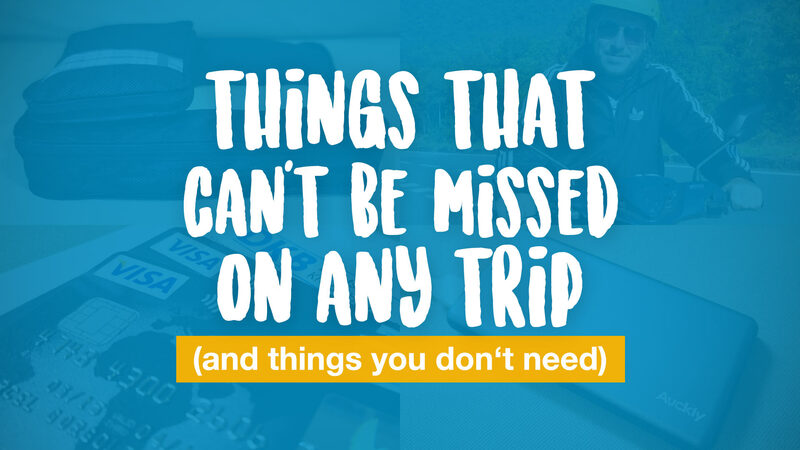 When traveling to the North to cross out that item in your bucket list, it seems almost impossible to randomly decide to jump on a bus bound for Lagawe, or to Banaue. Tickets must be procured in advance, sometimes as early as a month especially when the holiday fever hits the country. The holidays are usually Christmas to New Year, the Holy Week and the Day of the Dead (All Saints’ and All Souls’, officially). Get yourself a good backpack – a luggage with wheels may probably work for some areas in the North but not very much across the region. You’ll be scaling terraces, crossing the mountains via these teeny-tiny walkways so it’s always within reason to get your stuff on your back. Buy a sturdy pair of hiking shoes and complement this with a good hiking gear and outfit. Walking across rice paddies in shorts may be a little refreshing, but you’ll end up with small scratches on your legs and these will hurt when you get in the shower. Rice stalks are pretty sharp. Cash is indispensable, there are only a handful of ATMs in the area and these are usually at the biggest towns like Lagawe. Public transportation in Cordillera is often on schedule; scarce in the wee hours of the morning, nonexistent at night, unless you hire a Jeepney and a driver at a special tourist price. There is no direct flight – the closest would still require you to travel via bus (or shuttle). Getting to the other rice terraces might require extended stays and strategic planning. Jeepneys and shuttle vans are usually operational from morning until 2 in the afternoon. Baguio City, the nearest city and the Summer Capital of the Philippines, is a good five hours away from Banaue via a van ride. The Philippine Cordilleras is a relatively safe region, but almost all of the areas would require you to have a guide. Traipsing through the rice terraces on your own is not advisable as there had been instances when oblivious tourists had broken tradition and had to pay for damages. Respect the culture and you will be rewarded. Remember that the terraces are situated in the mountains, and these would always lead to numerous paths in the forested mountain range. You don’t want to be lost in the forest. Secure luggage by bringing the cash wherever you go, leaving the immaterial behind. Ensure that the inn you’re at is reputable; ask the Tourism Information Desk for the best options. Traversing the North always comes with several dangers, especially during the monsoon season. Avoid travelling during the rainy season as landslides are common occurrences (but the fog descending on the road is a beautiful sight). In Manila, the traffic worsens the people’s propensity for tardiness, but in the North time is always of the essence. If they tell you that the bus is leaving at 8, it will leave at 8 and you’ll have to stay overnight if you miss the ride back to Manila – after all, tickets are always procured in advance. 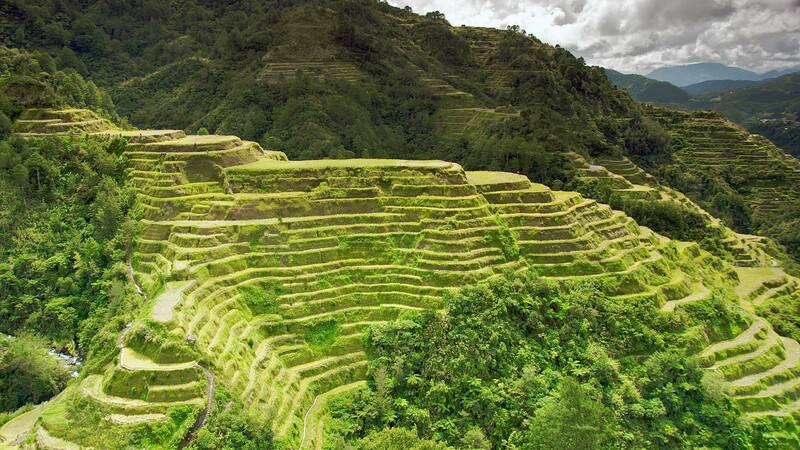 Have you ever visited the rice terraces of the Philippines? What is your personal favorite? Leave us a comment below. 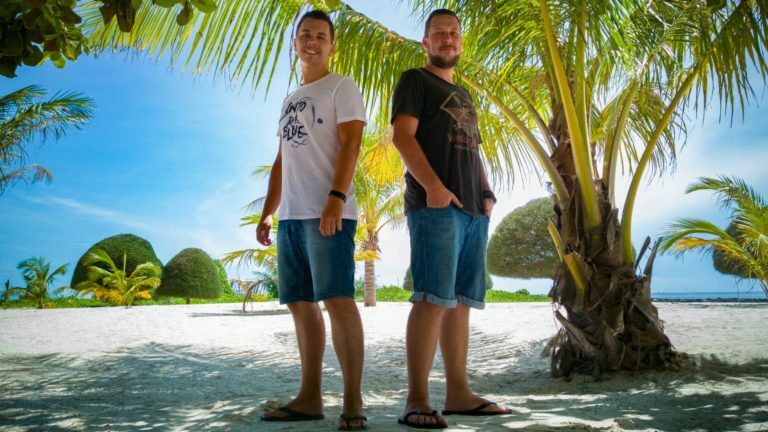 This is a guest post by Tony Anderson from Unbelievable Trip. This place must look like paradise, Marcel. 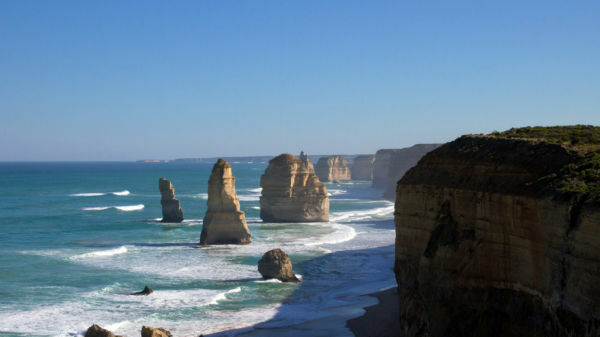 Your pictures show a very picturesque and stunning place. Is it possible to walk through these rice terraces on your own or you have to do it with a guide? Great blog! I happen to be a every day visitor to your website somewhat much more like addict ?? of this travel blog. Just wanted to say I appreciate your blogs and am searching forward for much more to come!